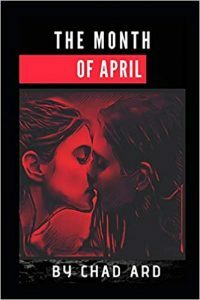 In The Month of April, the main character, April Boyd finds out her mother has died and returns to her hometown with her girlfriend, Abby. Her mother left instructions to cremate her body, take the ashes to New Orleans, and scatter them in the river in front of the Jackson Brewery. Inside a box of personal items, they discover an account April’s mother had written about her trip to New Orleans the year before April was born. They read about how April’s mother, Dani met the love of her life in the Crescent City. The account, entitled “The Month of April,” chronicles the couple’s brief time together and what transpired afterwards during Dani’s time in the military. Though grief-stricken after reading the sad tale, April understands her mother better and feels closer to her. 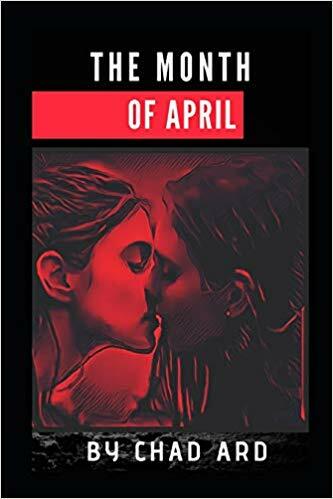 Caring for her girlfriend and emotionally moved, Abby encourages April to take steps to bring closure to the tragedy and together, they investigate the occurrences and right twenty-year-old wrongs. As a fan of epistolary books, I especially enjoyed the sections of Dani’s story. The setting descriptions transported me to a city I’ve briefly visited, but never had the opportunity to tour. Ard’s admiration of Raymond Carver is evident in his writing. I would characterize this novella as dirty realism. The sparse, unadorned prose conveys the author’s meaning succinctly. As a poor, unwed mother, Dani epitomizes the kind of characters which populate the genre. I found the dialogue somewhat flat, however, that too, could be attributed to an aspect of realism. I do not typically read this style of writing and the fact that I found the first few pages too compelling not to finish reading the novella says much about this author’s exceptional writing ability. A wish is made upon a dandelion setting in motion a terrifying series of events. Lucy, a young lady nearing her 18th birthday, must travel to the enchanted Dewdrop Forest to find answers before it is too late to stop her descent into madness. I’ve always been a big fan of fairy tales and love reading them, so I was immediately drawn to this book. Despite the cute, Disneyesque title, this is a fairy tale in the vein of the original Brothers Grimm, replete with disturbing, often violent scenes. I was hooked from the beginning. With foreboding, I read of the wish in the first chapter. The mere appearance of the weed hints at the troubles to come. The lines between reality and fantasy are blurred and there are cyclic elements to the story. Plying ethereal language, the author visits the similarities between such dichotomous duos as love and hate. The prose has a lyrical quality. I am still pondering the cryptic ending. Although the book would benefit from tighter editing, I thoroughly enjoyed it. The Lost Fairytales of the Dewdrop Forest has an inventive plot and is a well-written, phantasmagoric story. Linx’s entertaining book introduces children to the concept of school. The vocabulary in this engaging story about Kitty the Calico’s first day is geared toward emerging readers. The colorful, detailed illustrations by the author immediately drew my eye, especially since the main character is a kitten. This book would make a perfect gift for any child. A Two Horse Town opens with a visceral scene. It’s a moonlit night in Big Sky Country. An acrophobic woman scales a boulder ever aware that one wrong step, one slip of a sweaty palm, could lead to a painful-at-best fall. A straight-outa-the-chute beginning to an excellent mystery. Kate Caraway hadn’t anticipated how much she would miss Kenya, a place where she immediately felt a sense of home, and a research position that fulfilled her. But her husband had a prime job opportunity, so they moved to Chicago. Disliking her work at the University of Illinois, she eagerly agrees to help her student, Nate Springfield. She takes a leave of absence to go to Montana to save wild mustangs endangered by a purposed dam which would leave them without a water supply. Soon after her arrival, Kate discovers a dead body, that of her student’s grandfather. When Nate becomes the prime suspect, Kate struggles to not only save the horses, but also to clear his name. In Montana, Kate stays with Nate’s great-grandmother, Ida, a gun-toting nonagenarian. She is against the building of the dam, but her reckless outspokenness may work against their cause. Kate also senses that Ida is not as forthright as she seems. Time is against Kate, and the enemies aren’t afraid to use deadly force. I won’t spoil the ending, but will say it is full of heart-racing excitement and fascinating revelations. When I read the vivid descriptions of the settings—so bright, compelling and very much a key part of the story—Nevada Barr’s series is brought to mind. Kate Caraway has much in common with Barr’s main character, Anna Pigeon. Both feel strongly about protecting the environment and both have the willingness to take on an active role. Like a mustang, the story gallops across the pages and I flew like a rider, gripping the horse’s mane in exhilaration. I encourage you to take that ride too. You won’t regret it. Opera dogs, a feisty old woman and a cause worthy of a good fight or possibly murder? Kathleen Kaska’s, Two Horse Town, will reel you in with earthy descriptions of Montana’s mountainous terrain, dialogue that will make you snort with laughter and characters that are as lively as a pack of wild mustangs. I have to say, I loved this Kate Caraway mystery even more than the first. Kathleen Kaska does an amazing job of filling the reader in on the previous details of book one without repetitive backstory. This book can be read as a stand alone, and the reader won’t miss a beat. Kaska’s love of animals and nature bring life and humor to the book. I love that each mystery brings awareness to a real animal issue. The rustic trails with their gravel switchbacks aren’t the only thing that twists and leaves you hanging off the edge. The author keeps the pages turning to find out what is at the bottom of her rustic, homespun mystery. Kaska will leave you guessing until the end and waiting for another Kate Caraway story. If you love descriptive land scapes that make you feel the cool breeze on your skin or the Montana sun so bright you have to squint to see, you will love, Two Horse Town. Bravo Kathleen Kaska! Uthuru is a science fiction novel about Mitchell Surrey, a man accused of a murder he didn’t commit. He travels to space for the proof needed to exonerate him and, not only does he find it, he also discovers answers to the over one-hundred-year-old mystery of the alien attack that came to be known as the Traveler War. I enjoyed this first person POV tale. The world building was detailed and believable, the main character, resourceful and easy to relate to, and the reason for the aliens’ hostilities, unique. Being a fan of the Alien movies, I loved the horror elements in the story. Despite the new sci-fi technological terms, I had no trouble following the plot, though the author has thoughtfully included a glossary. Never a dull moment, this was a quick read. In some ways, I am reminded of the movie, The Martian, because Mitchell must be self-reliant and spends a goodly part of the book on his own. I strongly recommend this novel and, since this is book 1, can’t wait to see what else this author has in store for Mitchell. Roller Coaster of a Read! The world Carr has created is wildly imaginative and completely believable. Jenn’s mad scientist roomie is experimenting and, unfortunately, Jenn becomes a variable. She is transported via funky rock to another dimension where she’s given a choice: die or be reconstructed (add AI unit and vigorously stir) to help a god. Not much of a choice, to be sure. *takes deep breath* And then things really get crazy. Jenn ends up in a beast world—think Planet of the Apes, but a lot more diversity than gorillas, orangs and chimps. One of my favorite things about The Download is the way the characters evolve. I love that the AI (Artificial Intelligence, I know, I know, you knew) unit doesn’t remain static, CALA changes and is as much a character as the flesh and blood ones. If you love a rollicking tale that makes you think, I strongly recommend this book. I’m typically not a big reader of romances unless they’re funny and this book delivered big time. Ella Menza’s life has been grounded in politeness and following all the rules. Unfortunately, others take advantage of her good-naturedness. Self-centered Burton, her fiancée is, as Janet, a favorite co-worker aptly describes him, “a cold fish.” Her mother, the Professor, who reminded me a lot of Leonard’s mom on the Big Bang Theory, belittles and embarrasses her. She finds her job as a copywriter unfulfilling. Ella Menza has been a doormat for too long and has had enough. The book immediately illustrates Ella’s temperament when she needs to leave work for her bridal shower but can’t bring herself to be rude to a co-worker. Ella arrives late and things go downhill from there. The book is atypical because it has several POVs, instead of the traditional heroine only or the POV bouncing back and forth between the hero and heroine. I enjoy multiple POVs, so this was a plus for me. It was refreshing to read about characters who have flaws instead of too perfect ones. Ronnie, Ella’s bestie’s auto-corrected curse words and her wild card behavior made me giggle. A host of quirky characters whirl through the revolving doors of Ella’s life. One POV was Eddie’s, the brother of Ella’s love interest. I thought it was odd at first, but I would have found him a much more unsympathetic individual without getting a glimpse into his thoughts and at the end of the book, a sequel is alluded to involving Eddie and Ronnie. I love EM Kaplan’s Josie Tucker series and look forward to seeing what the author has in store for the bro and the bff in book 2. Halloween is my favorite holiday and I love a good mystery, so of course, I had to get this book. The main character, Zoe Donovan, has many characteristics I admire. She is an animal-lover who fights to find a forever home for every stray and nurtures every hurt or needy wild animal. She has a good heart, and, despite having a busy job as an animal control officer, is one of the first to aid those who need help. Mysteries fascinate her and she is eager to seek out clues. Since this was the first of a series, much time was taken to introduce the main characters. Zoe has two close friends she has known since they were kids, Ellie and Levi. Levi has his hands full with training the high school football players for a game against one of their biggest rivals. Ellie and her mother run a bakery. Thrown into the mix is Zak, Zoe’s nemesis starting back in seventh grade. I enjoyed the interactions between the characters and Zoe makes a couple of surprising discoveries about her nearest and dearest. When a dead body is found, Zoe is determined to root out the perpetrator. I read a wide variety of books including some very gritty, explicit crime novels, but sometimes I’m in the mood for something sweet. Halloween Hijinks is a clean, cozy mystery that was exactly what I craved, a sweet whodunnit with little violence and sexual content.